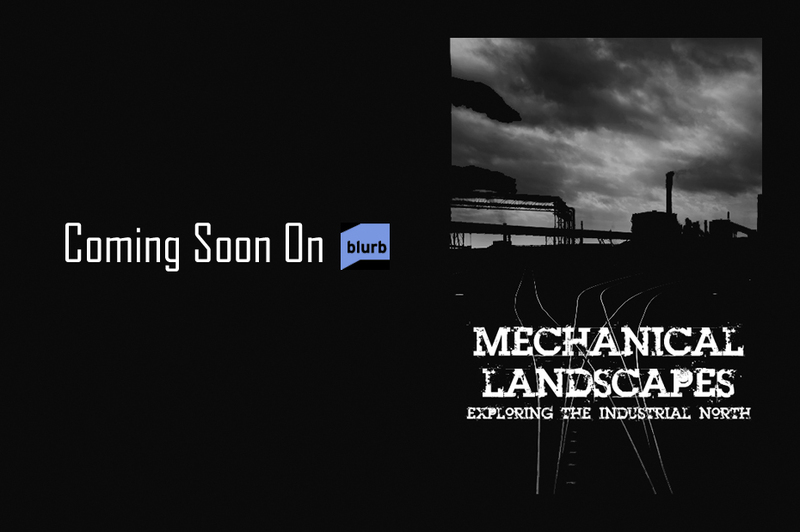 Finally, after months of sorting, editing, writing, and goodness know what else, I’ve finally finished my book ‘Mechanical Landscapes’ and sent it off to Blurb for printing. You’d have thought it would be straightforward to just put a load of photos in a book, and if that’s all you’re doing, then yes it is. But if you want to do a proper job, then it is most definitely not. And as this is a self-publishing / print-on-demand / vanity publishing effort, it means that I’ve done the lot – cover design, captions, editing, sequencing, etc which has been both satisfying and perplexing in equal measures. And knowing when to stop, knowing when enough is enough is possibly the hardest part – there’s a few places I’d like to photograph so as to include in the book, but as I don’t know when I’ll get the chance to go see them, I’ve had to just say, stuff it, can’t wait forever. So there you go, providing that the printed copy is up to scratch when I get it, I’ll write a longer post on how to produce a Blurb book in a few weeks time.